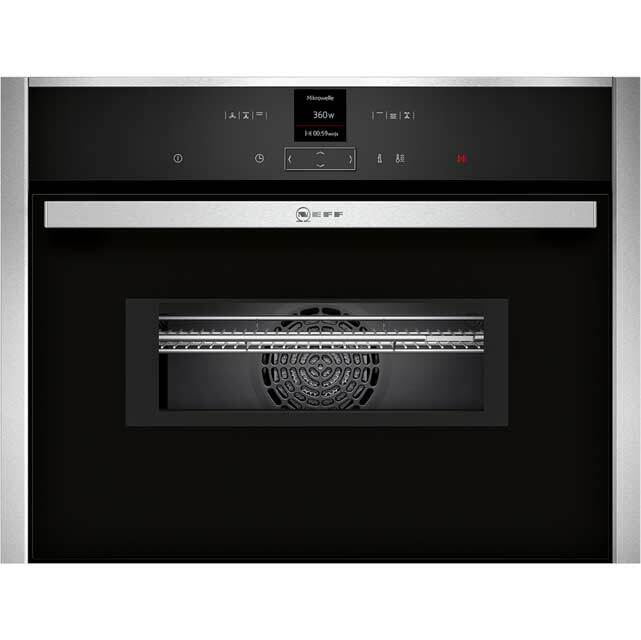 Make your favourite meal a masterpiece with this built-in electric single oven from Neff. As it’s multifunctional, you’re given a variety of cooking options to help you perfect every recipe. It has a 71 litre capacity too, which is ideal for large households. You’ll have peace of mind knowing your dishes are thoroughly cooked as well, as CircoTherm® technology circulates heat evenly inside – so you can cook your starter and main course together without flavours transferring. When you’re finished getting creative in the kitchen, the pyrolytic cleaning function burns any grease splatters to ash inside, which can be easily wiped away. This model is designed to fit at eye level or under a worktop. Want to make sure this single oven will fit in your kitchen? Check out our handy measurement guide video. We’ll show you everything you need to know about measuring up in just a few simple steps, so your new appliance will fit like a glove. The best oven I’ve ever had in 43 years! I was so looking forward to my oven being delivered and I haven’t been disappointed at all! It didn’t take me long to get used to the ‘slide and hide’ door, it’s absolutely amazing. With the extra facility of self-cleaning I can honestly say it’s the best oven I’ve had in 43 years of marriage. I love this oven, it is perfect. It looks good, works like a dream and is so well made. I love the slide and hide door. Cooks perfectly, as you might have realised, I LOVE THIS OVEN. I FULLY RECOMMEND THIS NEFF OVEN. I give it 10/10. Replaced an old NEFF oven with a new one. Extracted the old one from the unit; wired a 13amp plug to the cable supplied for the new oven and loaded the new item into the kitchen unit. The new oven was a little more sophisticated in hiding the retaining screws but not rocket science. The new oven was delivered at the agreed time by a team of two; just as well, as the packed unit is reasonably heavy. They carried the unit in and checked the packaging for damage (none evident). Quick and efficient. 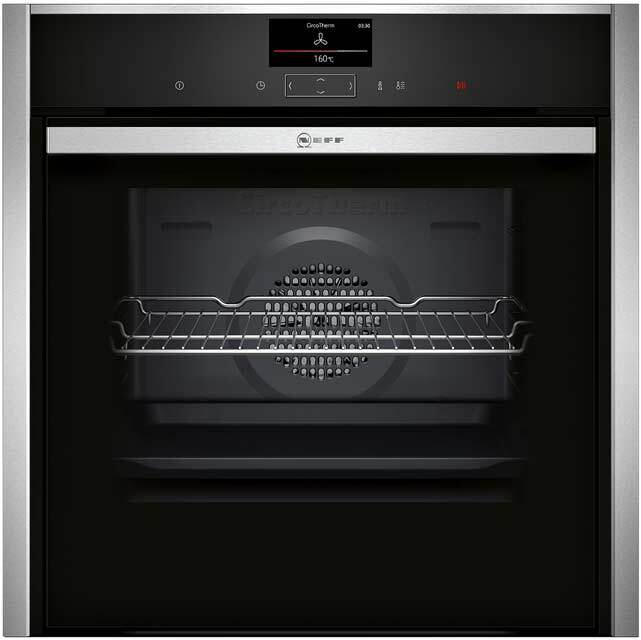 The oven is provides the requirements we specified; fold-away door and pyrolytic cleaning and it cooks things too. This oven is fantastic. 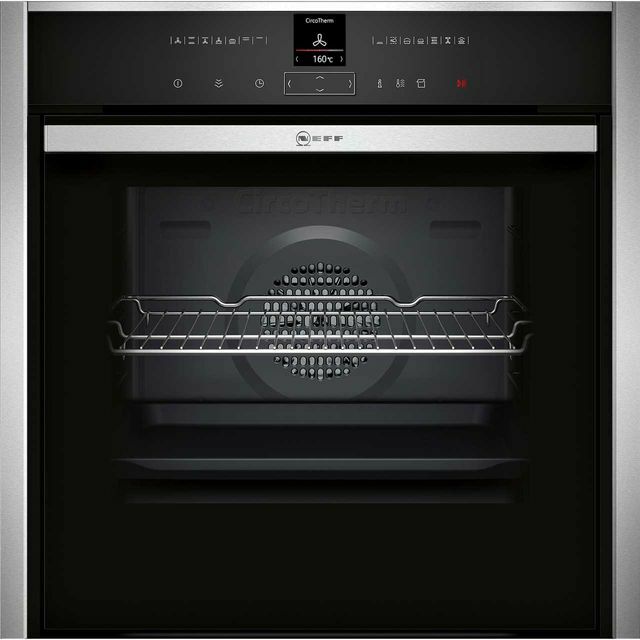 It has the ‘slide and hide’ door which only neff ovens have. It has a telescopic bottom shelf. This mean you can stand directly in front of the oven, slide out your shelf and check whether your dish is cooked. I have tested Victoria sponges and fruit cakes both of which were evenly browned and cooked. Our roast beef was a dream. This oven would be ideal for small or large kitchens. I cannot find any downside. You won’t regret purchasing this oven! It’s brilliant. Cooked our Christmas dinner perfectly! The slide and hide door is so useful, so much safer taking items to and from the oven. It really looks the part in our new kitchen. So happy with it, couldn’t be without it now! What a fabulous product. I understand now why people are very complementary about NEFF products. A variety of oven settings and the “slide and hide” door is a marvellous invention. One of those things that you don’t appreciate until you’ve tried it. 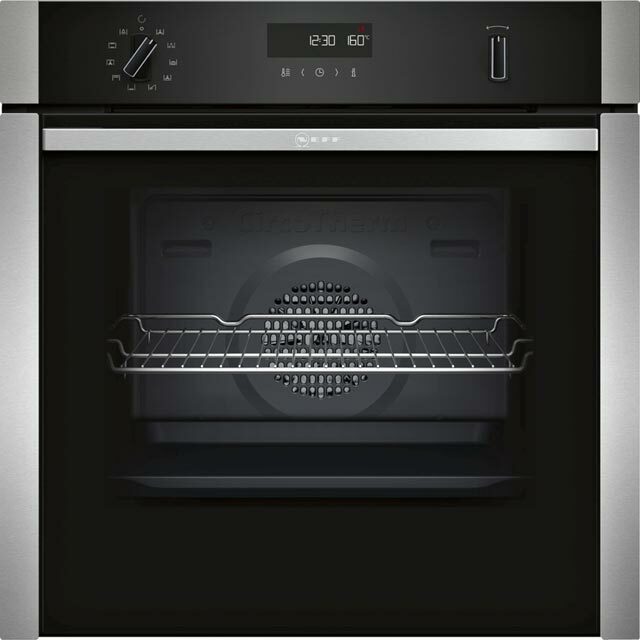 If you’re after an oven and this one fits your criteria buy it! Recommended 100%.